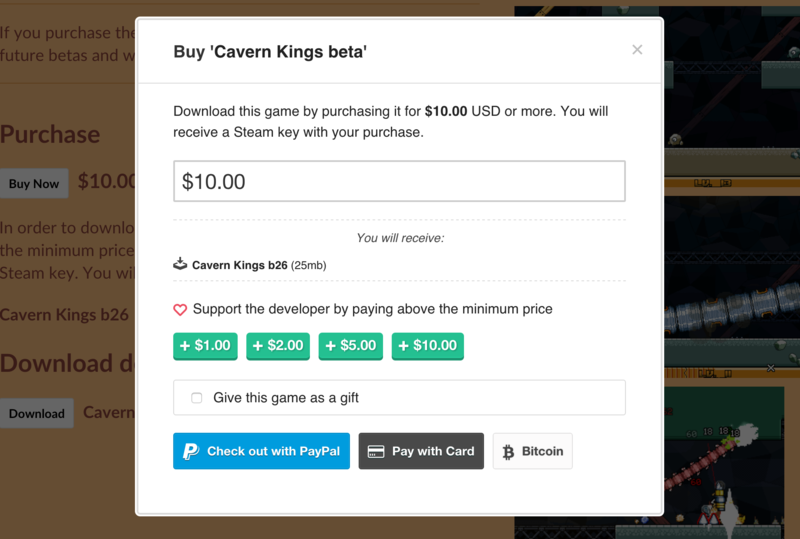 One of the most common requests we get is adding more methods to pay when buying games. 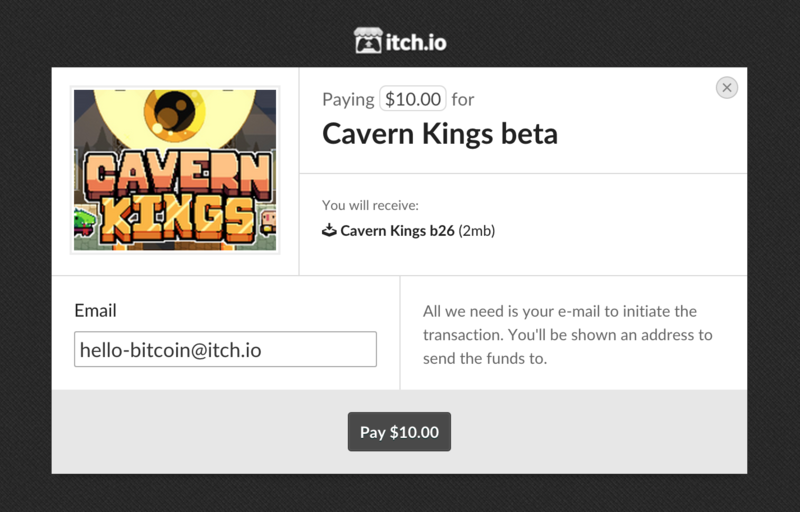 Starting today you can now pay with Bitcoin to any seller that is using itch.io’s payout system. You don’t need to change anything about your account for it to work, and you’ll still receieve payouts in USD! 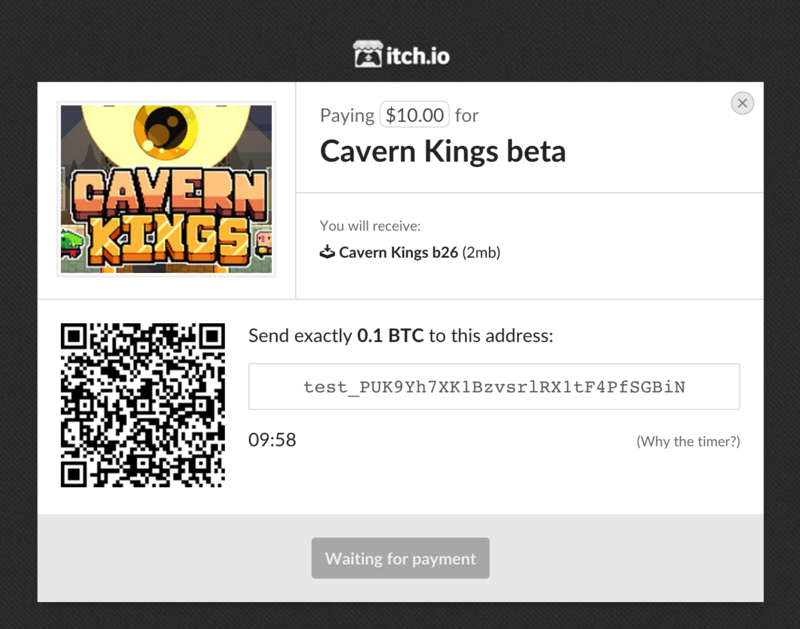 Bitcoin payments are implemented through Stripe’s Bitcoin support. This feature has been requested for a while (it’s the fifth issue on Github!) and we’re really happy to take a first step in the cryptocurrency world.